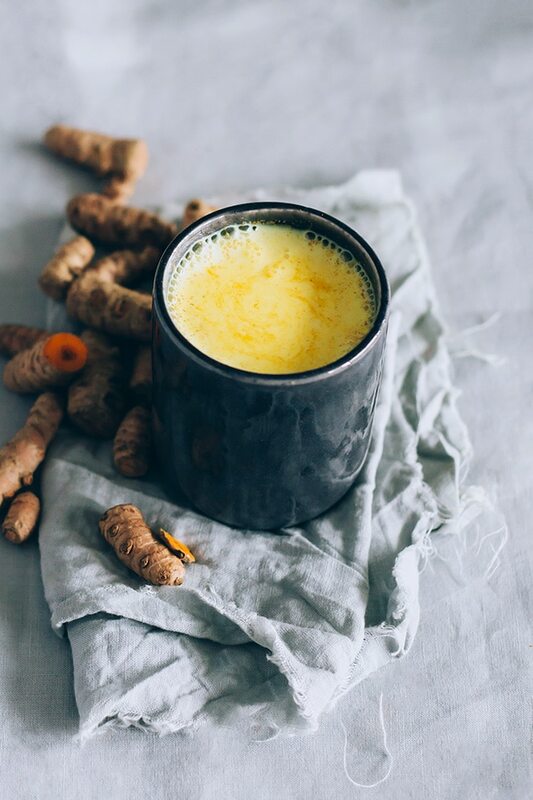 If you have trouble sleeping and you don’t have turmeric in your life, you need to change that immediately. For me personally, there are few things more frustrating than not being able to fall asleep, or just not having a good night’s rest. Apart from becoming a tad grumpy because of it, it affects so many other parts of your life too. Your concentration drops significantly and you become forgetful, it can cause depression, it ages you, it can cause you to gain weight, and it can lead to serious health problems relating to heart problems, high blood pressure and diabetes. If you didn’t already realize it before, I’m sure you can see now how much value there is in getting proper sleep on a regular basis. But when you’re not, don’t make the pharmacy your first port of call in trying to fix the problem. Sleeping pills come with their own set of risks which you don’t want to introduce into your life, so let’s have a look at how the wonderful turmeric root can help you. 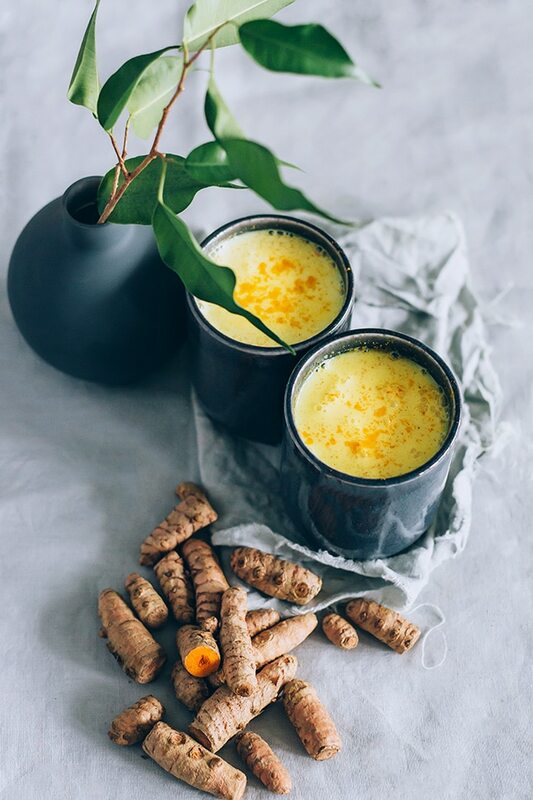 At its base, turmeric reduces inflammation, lowers your blood sugar levels, helps your liver to detoxify, boosts your immune system and eases your digestive system – all of which help you to get to sleep faster, to sleep better, and to wake up feeling refreshed. Adding turmeric to chamomile tea, as well as the other ingredients in this elixir, makes it the perfect natural pre-bedtime sedative. I can barely keep my eyes open after a cup of chamomile tea (sleep tea as it is sometimes called) so it’s always my go-to. This recipe just makes the effect that much better. Chamomile is well known for its sedative effects, bringing on a soothing and calming effect to your mind and body – just what you need when you’re ready to shut down for the day. This drink also includes my latest favorite adaptogen – Ashwagandha. I’ve been supplementing with this raising super-star from a while, because of my slow thyroid function, but also for helping my body to cope easily with stress (being the photographer for a very-soon-to-be published book comes with its ups and downs). The root of the plant called Withania somnifera has anti-inflammatory and antipyretic effects, with mild calming, relaxing effects. 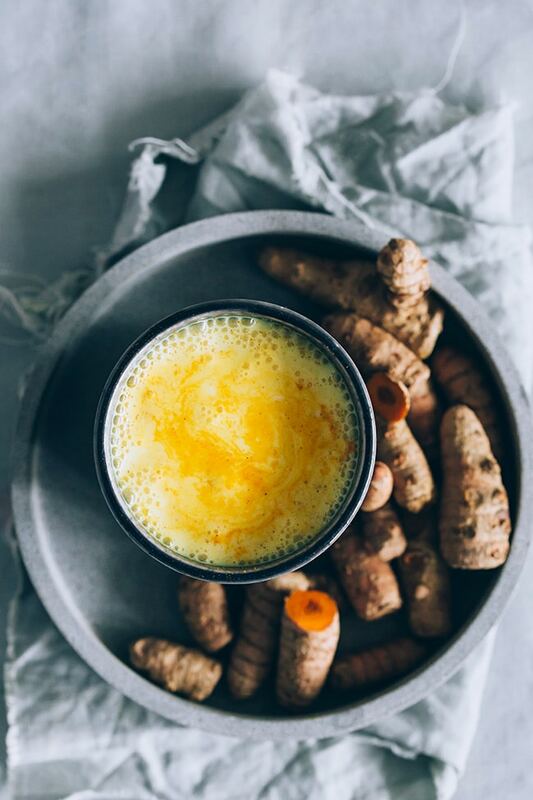 I usually take it in the morning, in my smoothies or my oats bowl, but when I have issues with my circadian rhythm because of late night editing and writing, I add it to my turmeric golden milk and have it before going to sleep. Turmeric, ashwagandha and chamomile are the sleep-inducing ingredients for a great night rest without pills. 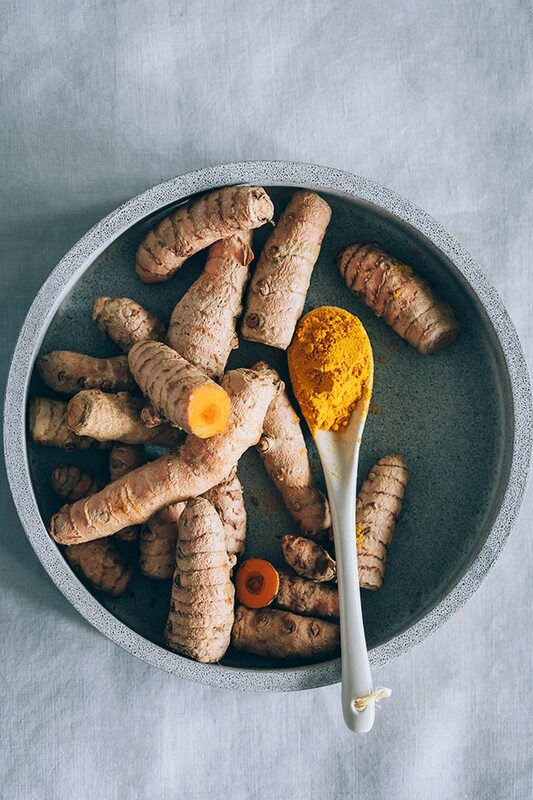 In a mortar add the turmeric, cinnamon, grated ginger, cardamom, ashwagandha, peppercorns and coconut oil, and mix with a pestle to obtain a paste. Add one or two chamomile teaspoons if necessary. Oh Karly, I totally get you on this one, I hate not being able to have a decent sleep! I really hope this helps you too! I love this combo! Ashwaganda is one of my favorites. Luckily I don’t have trouble falling asleep but I do enjoy something warm and soothing to relax before going to bed. 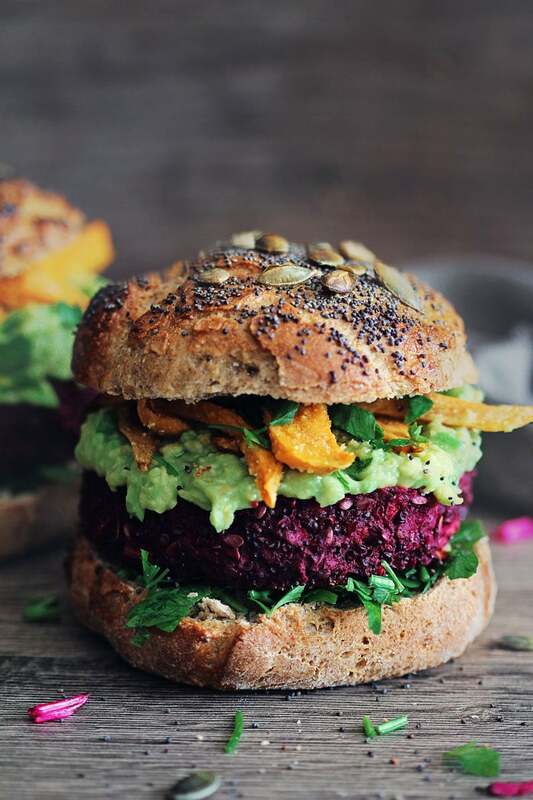 Have you tried using fresh turmeric to makes this? I know the recipe calls for powdered but I you have the beautiful roots in your photos. Just wondering if you’ve made it that way with success. Oh, definitely turmeric is a pain to remove from your white vessel, but I use baking soda and works nice for removing the stains. I love holistic approaches too, and recently discovered the Ashwagandha powder which for me works magic when combined with turmeric. Is taking ashwagandha with turmeric milk safe? I enjoy turmeric honey milk but never tried with ashwagandha. Turmeric honey milk helped me a lot during my peak exam hr studies,ie.. wonderful. 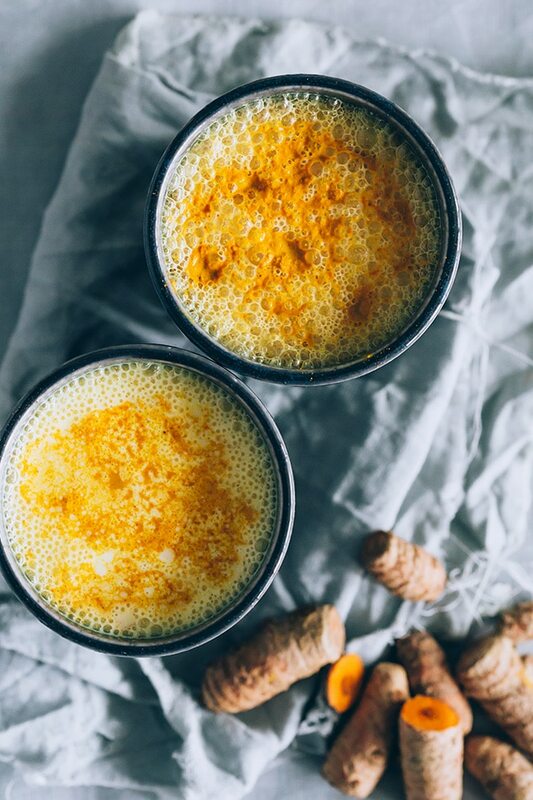 Turmeric milk is a staple drink for me and I am BEYOND excited to try this version with ashwagandha. I have been trying to incorporate more adaptogens into my diet, and this milk is the perfect way to get it daily! This looks great! I struggle with not being able to relax at night, do you think this will help to calm down at night? Thank you for sharing, sleep is the most important thing! Majken, I have the same problem of not being able to calm down, and this may be caused by excess cortizol, the stress hormone. I will do a test for this one, and highly recommend it to you too if you have trouble sleeping and relaxing. 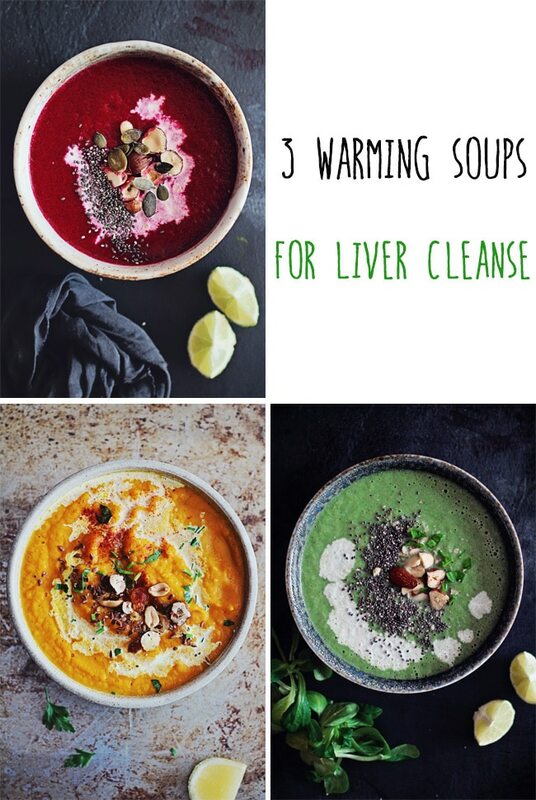 This looks like a great soup to give my Juice and Soup cleanse clients… but when do you use the oil? And is it more sweet than savoury? The coconut oil is added at step one, when creating the paste. 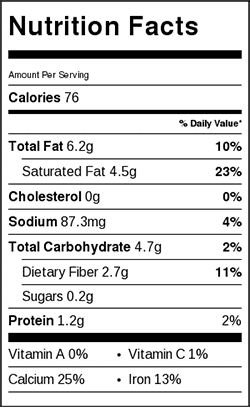 If you add the sweetener, it’s on the sweet and spicy side. The Ashwagandha it’s bitter, so I would recommend using the sweetener, at least for the absolute beginners of sipping turmeric milk. I really hope your cleanse clients will love the taste and get the wonderful benefits of this drink! I have suffered from chronic sleep maintenance insomnia for a couple of years and absolutely nothing has helped – not melatonin, nor changing my sleep hygiene, nor even sleeping pills. I have been to the doctor and ruled out sleep apnea, but have found that certain supplements at least keep me asleep longer. I’m going to try this remedy tonight and report back! Sorry to read that, Melanie, and I really hope this helps! This is to Melanie and anyone else having trouble sleeping. magnesium! I make a magnesium oil (which is not an oil at all. it just has an oily feel on the skin when applied to the skin to be absorbed) which is one method of taking it. I also take 2 eyedropsful in a small amount of water internally, one hour before going to bed.every night. most nights I am asleep 5 to 10 minutes after I go to bed. So many of us are magnesium deficient and we don’t even know it. you can buy magnesium oil online or like me make your own! it’s less expensive. what I do is make a double strength batch each time i make it. and store it in a glass jar. then fill glass eyedropper bottles label them and use daily on my skin if I have tense muscles,spasm, cramps etc. just rub some on that area. or just tense I rub some on the back of my neck it works wonders!!!! I won’t be without it! I sleep better than I have in YEARS! you can find recipes online. here is what I do. I buy Ancient Minerals Magnesium Bath Flakes it’s an ultra pure magnesium source. can get on amazon.com etc. I boil One cup of filtered water and dissolve 2 cups of the magnesium bath flakes in it. then cool to room temp. then pour in a glass jar put on lid. done it lasts a while and do not go bad. can rub on the bottom of children’s feet before bed or to help calm and relax them. first time using,use at night at home close to bedtime tp get the feel of how much it will relax you and how much to use. you cannot use too much. but use your own judgement. This sounds amazing and right up my street as I struggle with insomnia but am also an avid exerciser, with swimming and gyming being my number one thing lol. I’m a little confused about how you make the Mag oil. Doesn’t the Mag flakes dissoved in the water still leave you with a substance as watery as water? So I’m confused on how you’re meant to use it as a rub if it’s the consistentcy of water. I’ve used essential oils for almost 30 years so am familiar with carrier oils, massage and all that jazz! Also live with sciatica and scoliosis so I’m very body aware. Try 300-500mg Vit B-1 to quiet a busy, stressed, chatty mind. Works great. Looks amazing and we made it last night with Coconut milk, ashwaganda, turmeric, maca and cinnamon. As well as a date for sweetness. Strange as we drink turmeric in a green drink in large doses all day. I did have the best sleep after. Takeout the cocunut oil it made me sick too. I think its cause it has too much sat fat or something. The rest of your herbs I take as well and have had amazing sleep n results! I just made this recipe and it is delicious! I will definitely be making this again. Thanks so much for the feedback, I’m so happy you like it! Is this ok for children to drink? My DD has an awful time getting to sleep. I would exclude the Ashwaghanda powder, replace the coconut milk with almond one, and definitely add the sweetener 🙂 I hope your little DD will sleep like an angel! I’ve tried this recipe and like it, but is there anyway to get rid of grittiness of turmeric and cinnamon powders apart from pestle and mortar? Are there smoother pastes or anything? Or is there a good, pure, pre made one I can buy? Hi Helen, I’m so glad my recipe helped you sleep better! I totally get your point on the grittiness, and I would suggest using a fine tea strainer before sipping, especially if you’re using fresh turmeric instead of powdered. It will help you get rid of the ginger pulp too. I hope it helps! So made this this evening. I found it too rich, I think maybe too much fresh ginger. I diluted it and drank it easily. I was thinking that it may make a lovely soup with a few ajustments as it reminded me of some indian type flavours which I enjoyed. Maybe using lentils or chicken pieces. I suppose the challange might be how to make a soup with out having to simmer for ages as I don’t want to lose the goodness of the ingrdients. It’s actually a lovely idea turning it into a soup! Simmering the spices will only enhance their flavour, so it’s totally fine. It’s really lovely that you tried it, thanks so much for the feedback! Sure Matt, it’s actually a very good idea! I assume it’s best keeping the mixture in a lidded jar in the refrigerator, because I don’t know how the spices would react at room temperature. I hope you will enjoy this recipe! Hey, I’m 57 and my wife if 67. I’m in good health and she has not had a goodnight sleep for 10 years and she has lost about 30 lbs of bodyweight. I’m worried. She has not seen a specialist as we can’t afford good medical insurance. I will try this. Melatonin did work only a short time. Stressful. We both work. We both need more sleep. Hey Earl, sorry to hear about your wife’s sleep issues. I believe these problems are caused by the decrease of estrogen and progesterone hormone levels due to menopause. If you cannot see a specialist, you can make some blood tests to check the levels of these hormones. There are naturist supplements she can take (ginseng, Hypericum Perforatum, valerian), bioidentical hormones, and also some changes in her lifestyle and diet to improve her sleep (caffeine and gluten elimination, introducing daily exercise such as yoga, pilates or long walks, acupuncture). I recommend you Dr. Sara Gottfried’s book ‘The Hormone Cure’ – you can find it on Amazon, she has a holistic approach on hormone balance and sleep issues. I wish you both a good health and an improved sleep! 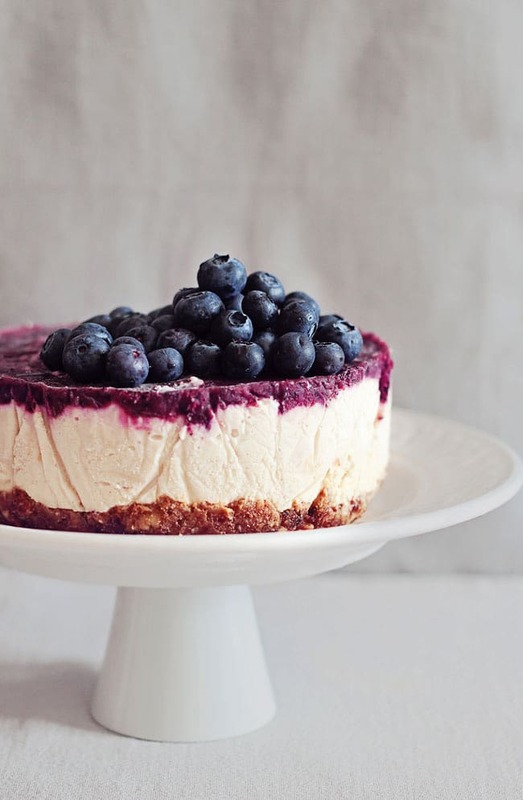 Ana, thank you so much for this recipe! We actually went and bought some ashwagandha just for this drink alone. Haven’t even heard of it before so it was great to learn about it. The drink is very soothing, makes it easier for us to unwind and fall asleep at night. Do you know how long can the mix be refrigerated without losing its properties? We mix everything but the tea and almond milk and keep that in a jar in the fridge. Thank you! And your pictures are so dreamy!! 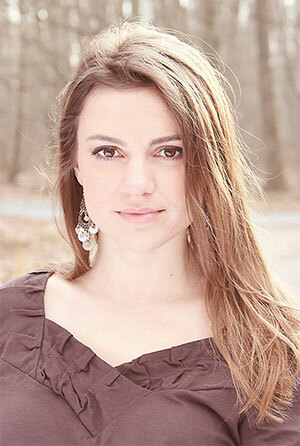 Thank you so much for the feedback, Vio, it’s so helpful for everyone reading this post! 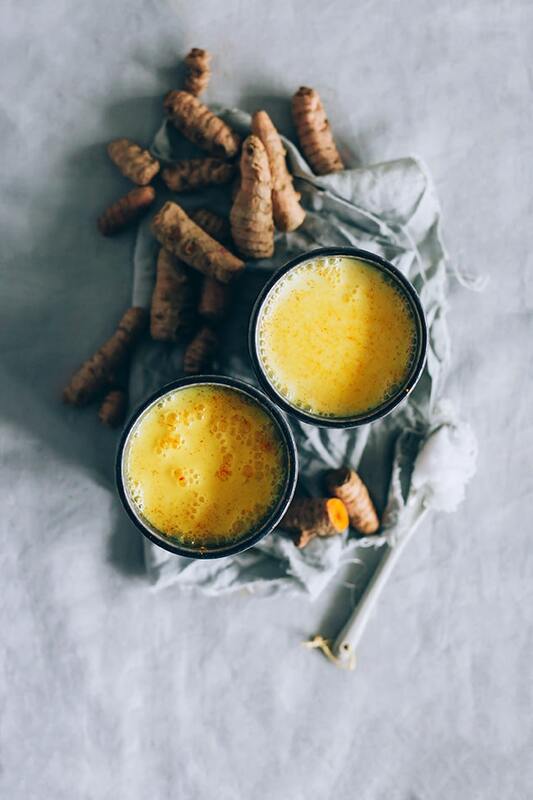 So exciting to read the turmeric drink improved your sleep and you decided to give ashwagandha a try. Ashwagandha’s taste isn’t really pleasant, this is why I hide it among some nicer fragranced ingredients 🙂 I never kept it more than two weeks in the refrigerator, but I think it will do okay even more. Thank you again!